We at diddi dance wanted to be sure you know about all the new classes launching across the UK in April 2018 and some classes that started in February & March that you might be interested in knowing about also! The list below is from North to South in the UK. Limited parking outside the venue, plenty along high street or local car parks are a short walk away. 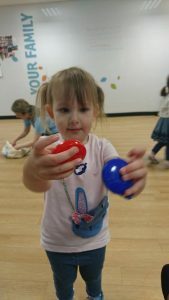 We hope your toddler can join us for our next theme – COUNTRY!!! 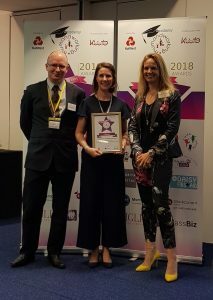 The winners in the prestigious 2018 mumandworking Awards were recently revealed in an inspiring, high-rofile ceremony, as hosted by NatWest, and Charlotte Foxley from diddi dance North Essex & South Suffolk was amongst them! These pioneering awards were launched over 8 years ago to celebrate the UK’s leading lights in the world of flexible working – those amazing and inspiring individuals, businesses, charities and networks demonstrating and showcasing how working practice and family-life can go hand in hand with huge potential benefits for all involved. Charlotte Foxley from diddi dance North Essex & South Suffolk was revealed as the winner in the Franchisee of the Year category. Several categories were judged by a panel of leading business women, very familiar with the challenges juggling a family and a career can bring. Susannah Schofield OBE, said this about Charlotte “I loved her ethics and passion to deliver the franchise above and beyond, more than just about making money however – Charlotte runs her business to make a difference”. Never has the importance of flexible working been so documented. ‘Mumpreneurs’ continue to generate billions for the UK economy, supporting in excess of 200,000 jobs and while we have witnessed significant positive changes in government policy towards flexible working in recent years, there’s still a long way to go. Research in 2016 suggested improvements in flexible working opportunities for mums would enable and empower huge numbers to return to the workplace with the potential to generate a massive £60+ billion boost to the UK economy. Organisers were delighted therefore at the wealth and standard of the submissions for this year’s awards, which were run with media partner Key Women in Business. Hundreds of nominees entered, across 14 exciting categories ranging from ‘Flexible Business of the Year’, to ‘Inspiring Business Parent’ with special categories for bloggers, team members, franchisors and technology and innovation. 2018 saw the highest number of finalists ever plus a record number of votes from throughout the UK. 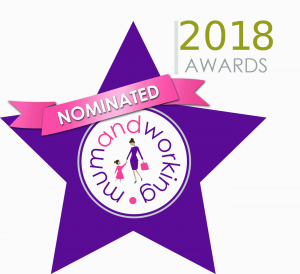 For the third year running diddi dance Franchising has been shortlisted in the WorkingMum Top Franchise Awards. This year we are shortlisted in two of the six categories – Supportive Franchisor Awards & Family Friendly Franchise Award. We previously won the Family Friendly Franchise Award in 2016 so would love to win both awards this year after being nominated for them both last year. The 2018 Top Franchise Awards winners will be announced in an online ceremony on 17th May 2018 and will be judged by Gillian Nissim, Founder of Workingmums.co.uk; David Kerrigan, Franchise Director at HSBC Bank plc; Amy Leite, Associate Solicitor at Aquabridge Law; and Helen Walbey, National Policy Chair for Health & Diversity at the Federation of Small Businesses. The ceremony will include an awards presentation and a Q&A session with franchise experts. This event provides a great platform to celebrate passion and achievement within the franchise industry. To be part of our Top Franchise visit our Is It For You? page and find out a bit more about our franchise opportunity today! 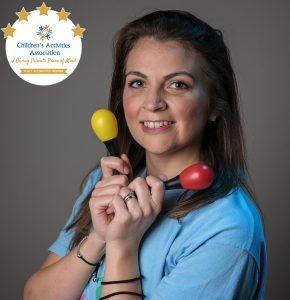 diddi dance Franchisee Rebecca who runs diddi dance Wigan, Leigh & Warrington recently became the 4th diddi dance franchise to be fully accredited by the Children’s Activity Association. To read all about her recent achievement just click here. Because of this success, we at diddi dance wanted to take the time to tell you all about Rebecca and diddi dance Wigan, Leigh & Warrington here! 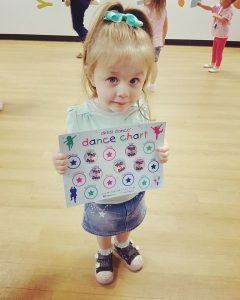 I have been a diddi dance Franchisee for 15 months. I studied Dance and Drama at college, after which I gained employment in Sales and Marketing for a media advertising company. I left my employment to raise my two children and from there I needed something to suit being a full time primary carer for my children. Working with children was something I really wanted to do as my two are growing up so quickly. What do you love most about diddi dance and running your own business? I love diddi dance because of the children mainly. I have built so many wonderful friendships with the children and their grown up who brings them to class. Running my own business means I can make my own hours and still be there for my own children when they finish school, no after school clubs or holiday clubs needed. The best thing is just simply the people I have met, not just my wonderful children and grown ups, but the people who rent their rooms to me so I can hold classes. All the other wonderful ladies who are franchisees at diddi dance who are such an inspiration. The fantastic ladies at Head Office, without them I would not be here as the support they give is outstanding. I have also just had a teacher come on board with me and I am so lucky to have her she is amazing. The people and relationships I have with all these people, make me feel I am not on my own, something that was a concern when I thought about working for myself. Seeing children flourish, sometimes when a child first comes they are so shy and won’t leave their grown ups side, but when you get the break through and they come up to you and chat and dance away like they have been coming to class forever, really melts my heart. I love when grown ups tell me they speak of me at home and they run into class excitedly to show me something. Just heart warming. I love the 0-5 age group, never a dull moment. 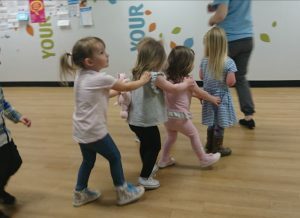 I love it when I welcome younger siblings to diddi dance after their older brother or sister has left us for nursery or school. I see it happening more often now I have been running for a while, and it’s so nice to say hello again. 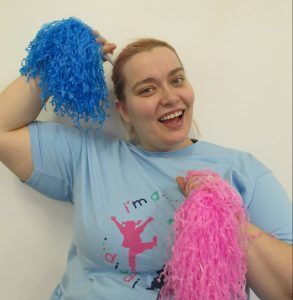 My diddi dance allows me, flexibility, fantastic opportunity to meet new people and build relationships and work with the fantastic children I see every day. The freedom it has given me to carry on being a Mum to my children. I know when I grew up my mum was home for me after school and I always wanted to do that for my children too. I think this accreditation is a fantastic way to show just how passionate diddi dance and I are about the quality of our classes. So much thought hard work and dedication goes into the classes and the process of a child’s time with us at diddi dance is carefully considered. We follow rules and procedures to ensure the classes are safe, reliable and reach the high standard in quality. To attend any of the above classes or to express interest in having a FREE trial get in touch with diddi dance Wigan, Leigh & Warrington today! You can email them on rebecca.hall@diddidance.com, call 07703 769335, message them on Facebook at @diddidanceWigan or fill in her free enquiry form by clicking here. 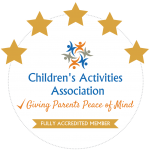 The team at diddi dance, the brand behind the much loved preschool dance classes, are extremely proud to announce their franchise diddi dance Wigan, Leigh & Warrington has achieved Gold accreditation from the Children’s Activities Association (CAA). The CAA is the only not-for-profit, industry-led association to set and raise standards in all organised children’s activities across the UK and this achievement clearly showcases the team at diddi dance Wigan, Leigh & Warrington’s passion for excellence. Set-up by leading industry experts in 2015, including diddi dance Founder Anne-Marie Martin, the establishment of the CAA (a Community Interest Company) has revolutionised the children’s activities sector. After Anne-Marie completed the accreditation process for diddi dance in 2016, she decided to offer the same accreditation to each diddi dance Franchise. This past month Anne-Marie & diddi dance were thrilled to personally accredit franchisee Rebecca Hall and her franchise diddi dance Wigan, Leigh & Warrington. Over 200,000 children a week now attend a CAA member activity and it is a truly fantastic endorsement for diddi dance Wigan, Leigh & Warrington to be part of this ground-breaking national initiative. Rebecca’s commitment to achieving Gold for her franchise shows her dedication to demonstrate to her industry peers and her fellow diddi dance franchisees that she excels at what she does as well as giving her parents the reassurance they deserve when selecting the best classes for their little ones. Rebecca opened her first class for diddi dance Wigan & Leigh in November 2016 and within her first year achieved both her Bronze & Silver CAA accreditations. She started her second year by expanding her franchise to include the Warrington area and has now become the franchisee with the youngest franchise at only 1 year and 3 months running to achieve Gold accreditation. 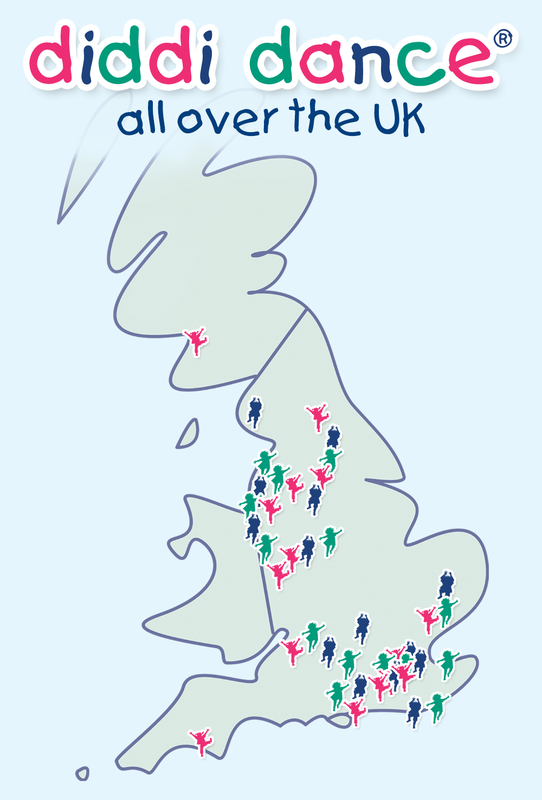 It is staggering to learn that before the CAA, there was no national, independent association in the UK for the children’s activity sector as a whole. Through the development of the CAA Code of Practice and via their thorough accreditation, for the first time, parents can now easily make simple, informed decisions when choosing from the wealth of children’s activities out there. Just by asking whether the provider is a CAA member, a parent or carer can get reassurance on important issues such as insurance, health and safety, criminal record checks, training, qualifications, class content and much more. Having achieved Gold CAA accreditation means that diddi dance Wigan, Leigh & Warrington has been independently verified as having met or exceeded all the necessary elements of the CAA Code of Practice. This accomplishment offers parents peace of mind when selecting an activity from the myriad of providers out there. We at diddi dance wanted to be sure you know about all the new classes launching across the UK in February 2018! The list below is from North to South in UK. We hope your toddler can join us for our next theme – IRISH!!! Our North Essex & South Suffolk franchisee, Charlotte Foxley, has just been nominated for Franchisee of the Year at the 2018 mumandworking Awards. 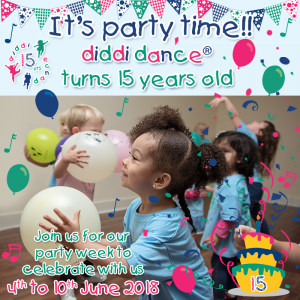 Charlotte started her diddi dance in September 2015 and over the past two years she has grown the franchise to be a very successful and prominent one. This award is for companies, colleagues, staff and associates to nominate a franchisee who clearly demonstrates how a flexible franchise can bring out the best in individuals – for the benefit of the business as well as families and customers, which we wholeheartedly think is Charlotte. But that’s not all! 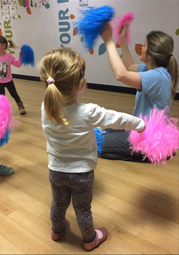 diddi dance has also been nominated for Franchisor of the Year – a category open to any franchisor who actively promotes exceptionally family-friendly and flexible working policies to its franchisees. This is a voted for category by the public so we need your votes! 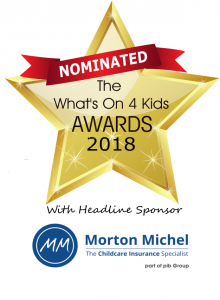 Click here and please cast your vote for diddi dance to show your support to us as a company but also to your local franchisee or teacher who chose to work with us. There is still a long way to go before we find out on the 3 October if either of us have won in our categories, but for now please vote, spread the word and congratulate! 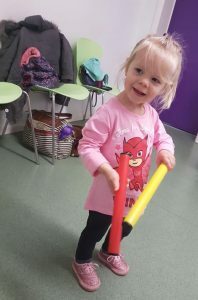 We here at diddi dance HO would like to take this opportunity to welcome our newest franchisee, Helen, who will be running the new franchise – diddi dance Worcestershire. My name is Helen, and I live with my amazing husband Ed in Worcester. We moved here about 4 months ago from Chester. Although we haven’t been in the Midlands long, we both love it here! And both agree that moving to Worcestershire was the best decision we have made in Years! I worked in an office, doing QA and Document Control. This meant many hours sat on my own, essentially talking to myself and quality checking documents….. for hours at a time! I love being active. Sitting at a desk, doing the same work day after day was soul destroying. I think it’s safe to say with so many little ones and parents coming to classes on a weekly basis, plus so many personalities in one room, there will be no two days the same! Plus the kick I get out of working for me, is amazing. A total high! I have thought about this one quite a bit, having been asked in training. I think it has to be Bollywood! When I came to observe my first class during the open day, it was a Bollywood based lesson. The music, the routine – I feel in love with diddi dance right there! Helen’s classes will be starting with our Hip Hop theme so don’t forget to book your FREE trial today!